The Ariel Motor Company has always been an innovator, developing its first patent for tensioned spoke wheels on a 48 inch, two-speed, ‘penny farthing’ bicycle in 1870 and the company’s history building bicycles goes back as far as 1847. Ariel went on to develop one of the first quadricycles and developed and sold cars until 1925. The company then switched to building and designing motorcycles and after, developing a large following, became part of the much larger BSA group in 1951. BSA produced Ariel model motorcycles until 1967. The last vehicle produced under the Ariel brand was a 1970 three-wheeled, tilting moped (the Ariel 3), until a budding sports car manufacturer named Solocrest purchased the renowned name in 1999. In 2000, Ariel LTD released its first exo-skeleton road-going car, the Atom. The car’s lack of exterior bodywork, open-wheel suspension, and ultra-lightweight design astounded car enthusiasts, not to mention its lightning-quick acceleration. Originally powered by a Rover K-Series engine, evolutions of the Atom ran Honda V-Tech powertrains and achieved the fastest 0-100 and back to zero speed record for a road legal car. 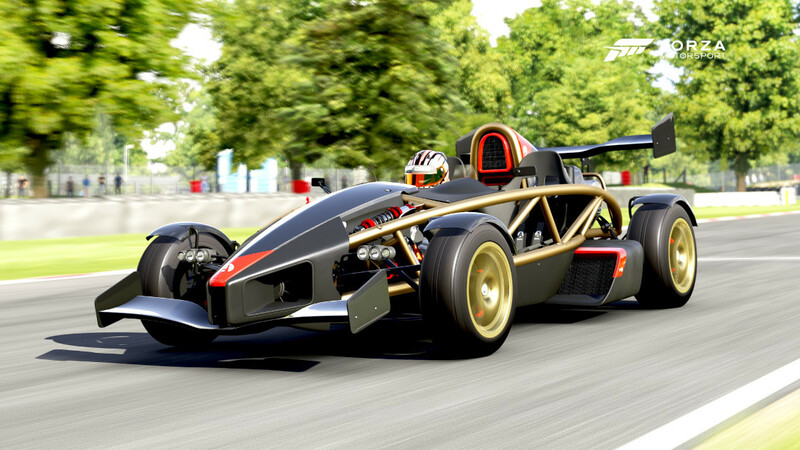 Everything about the Ariel Atom is amazing. Its shape is practically automotive euphoria by itself, and that’s before you get it on the track. To drive one is shocking. The new V8 version takes performance to unprecedented levels and keeps the Atom at the absolute pinnacle of ultimate track toys. Sure it’s street legal, but the Atom is at home at the track or even the drag strip. Ariel claims 0-60 acceleration to be 2.3 seconds. Few motorcycles can even match those numbers; it follows, since Ariel used to build some of the most loved British bikes in history. Here are just a few of the mind-blowing specs that make the Atom 500 what it is: a John Hartley-designed 500 horsepower Ariel 3.0 liter, weighing in at 198 pounds, a Sadev six-speed sequential transmission, Dymag magnesium wheels, combined with its exo-skeleton chassis with carbon fiber body panels and foils the Atom weighs in at a phenomenal 1,213 pounds. Most drivers won’t even be able to handle this kind of power-to-weight ratio right out of the box, but learning to reel it in will be a lot of fun. Vive la acción incesante en el juego de carreras más hermoso y completo de esta generación. Colecciona, personaliza y pilota más de 450 coches Forzavista™ con cabinas funcionales y daños realistas. Compite en carreras épicas para 24 jugadores en 26 emplazamientos de fama mundial. Domina el clima lluvioso y las carreras nocturnas en tu camino a la victoria.